The Capital of Nicaragua has a population of over one and half million inhabitants and is by far the largest and most important city in the country. 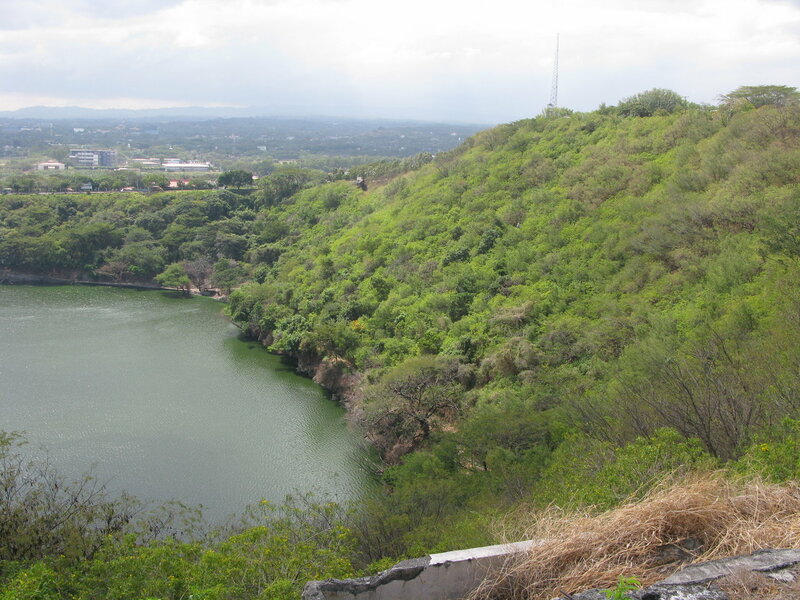 Managua is on the shores of legendary Lake Xolotlan, also known as Lake Managua. The city has a warm climate due to its altitude of only 83 meters above sea level (approximately 275 ft above sea level). Managua became the capital of the Republic of Nicaragua on the 5th of February, 1852. 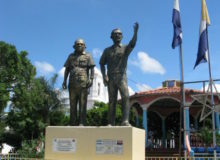 Historically, Managua reached its status as capital of Nicaragua as an effort to end the constant feuding between the conservatives of Leon, the political capital of the province during colonial times; and Granada, the economic liberal powerhouse during the same period. Both entities wanted to retain the power and were not willing to relinquish it to their enemy. Thus, the agreement that Managua, which is roughly halfway between both cities should be the capital. Today, Managua is the economic center of Nicaragua. It is home to the only international airport in the country. 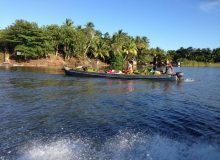 Its geographic location is perfect to start your exploration of this lovely and friendly Central American country. 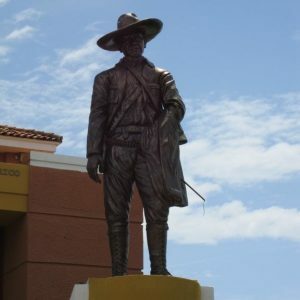 From Managua, you are a within a short 2 hours from most of the tourist destinations in the country. Leon, Granada, San Juan del Sur, the beaches on the Pacific are close by. 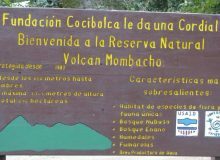 Lake Cocibolca and the magical island of Ometepe are also nearby. 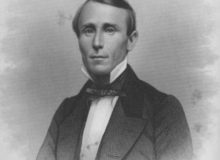 The city has had a long history of natural disasters that has marked its relatively short existence. Two different earthquakes have wreaked havoc to this city. The first was the March 31st, 1931 earthquake that had an intensity of 5.8 degrees on the Richter scale. The second was on the 23rd of December, 1972, with an intensity of 6.2 on the same scale. When compared to other earthquakes, these might seem relatively mild. 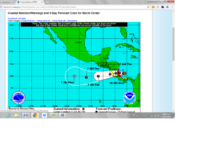 However, the fact is that Managua is built in a zone with many fault lines. It is extremely vulnerable to geological events such as earthquakes. Complete neighbourhoods were leveled and as a result. The city has spread out much more than others, as multilevel buildings are rare. The old historic center was almost completely destroyed. Even today, over 4 decades after, you can see the ruins of the lovely metropolitan Cathedral of Santiago. These stand as mute testimony of the destruction caused by the 1972 earthquake. This building is at the heart of the old downtown. 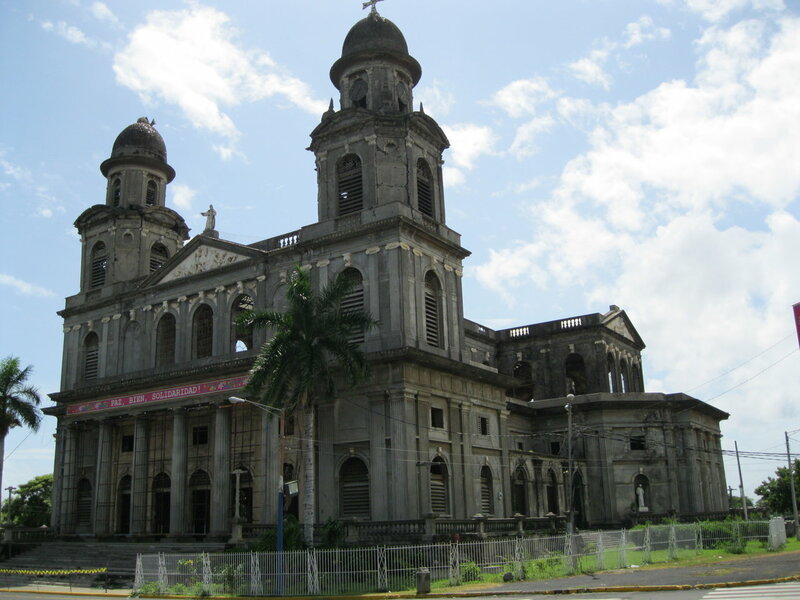 Its construction began in 1928, being one of the first buildings in Managua with a steel structure. This precisely saved it from destruction during the 1931 earthquake. The Cathedral was consecrated on the 24th of July, 1946. Its ruins are without doubt one of the most significant buildings in the city. In the corner, across the street from the Cathedral you will find the National Palace. This is an old building that is home to government offices as well as the National Museum of Nicaragua. Also of interest is the nearby Ruben Dario National Theater. La Casa de los Pueblos, also known as the old presidential house and the mausoleum dedicated to Sandinista hero Carlos Fonseca are nearby. Within a block, the Managua boardwalk on the shores of Lake Xolotlan offers a variety of popular restaurants and bars. Please note that while it is perfectly safe to walk within the interior of the plaza that houses these buildings, it is not safe to walk beyond these buildings into the adjoining streets. The malecon is not a good place to walk along, unless you go to the area known as Puerto Salvador Allende. Security and cleanliness there are outstanding! The National Museum of Nicaragua that operates in the National Palace houses a nice art collection as well as exhibits on geography and history of the country. The museum is open daily from 9:00 A.M. till 4:00 P.M. and the entrance fee is equivalent to $4.00 US dollars. As a result of the 1972 earthquake, the town center was moved. Managua is one of the few latin American countries that does not have the typical Spanish colonial grid with a central plaza, with the Cathedral and other important government buildings around it. Because of this, all of these buildings and institutions are spread out around the city. 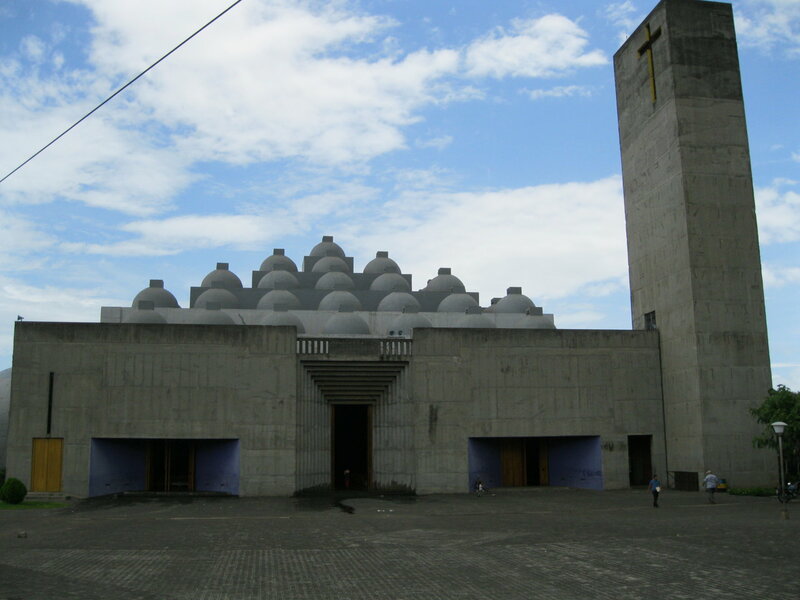 For example, the new Cathedral, which was consecrated on the 4th September 1993 by Archbishop Miguel Obando y Bravo, is in the area called Metrocentro. This area is considered by many as the new downtown area of Managua. The cathedral stands alone surrounded by a large park. It has a unique design that was created by Mexican architect Ricardo Legorreta. 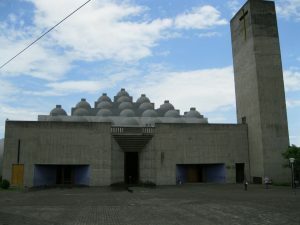 This building is truly unique due to its modernistic design and is a must on the list of things to see in Managua. The new commercial areas, where you will find the true heart of Managua is the area around Metro Centro, including the neighborhoods of the Colonia Los Robles and Altiplano. Here you will find many of the high-end hotels, such as the Intercontinental, the Hilton and Seminole Inn. There are very many restaurants and bars. Best of all, it is a safe area to walk, even after dark, however you should always be alert! Another interesting area with many bars and restaurants is the Galerias Santo Domingo Mall. This is a true pink zone area with pedestrian streets with bars, cafe’s and restaurants. A view of Tiscapa Lagoon on the Chipote Hill top that was the site of the Somoza Regime headquarters. Observe the commanding view of the city! Probably the largest green area in the city is the Tiscapa Lagoon. This is a natural crater lagoon with a lush tropical surrounding. There are some trails and there is a canopy tour that will take you over 300 feet in the air over the lagoon! The hilltop to the east end of lagoon is El Chipote. This is where the National Guard and Presidential House were during the Somoza Regime. The complex suffered great damage during the 1972 earthquake. The presidential house totally destroyed, however the military bunker remains. You can actually go underground to the cells were prisoners were tortured during those obscure days of Nicaraguan history. A visit here is a must, since you will have a great view of the city, with the lake in the background. If you happen to be in Managua on a Thursday or Friday night, you must consider going to La Casa de los Mejia Godoy, a restaurant bar where the famous Mejia Godoy brothers do live performances on these days. If you are Spanish speaking, it is an absolute must! Their songs, filled with revolutionary themes, will help you understand the revolution that toppled the Somoza regime and gave way for a new, free Nicaragua. I recommend that you make reservations, be aware that there is a $10.00 US entrance fee. Managua will be your starting point to your visit of Nicaragua if you have arrived by air. There are several ways of doing it. The highways in Nicaragua are actually in quite good shape. If you are adventuresome, rent a car, and enjoy the lovely scenery at your pace. The roads are good, safe and have signs! Make sure you have a good map and you will be able to get to your destination without a problem. There are also several tour operators that can design your trip according to your specific needs and wishes. Finally, if you prefer to use the public transportation, there are buses leaving from Managua to virtually everywhere in Nicaragua. There are several different bus stations Managua. Departures for the different routes are separate, according to the general direction that the buses are going in. For example the buses taking the routes towards the northern highway, which leads to Esteli, Matagalpa Ocotal depart from the Mercado Mayoreo. This is also where the routes towards the Caribbean coast depart from, including Rio San Juan. The buses leaving for the Costa Rican border at Peñas Blancas, San Juan del Sur and Rivas depart from the Mercado Huembes, and so on. Take note that the best options are always the express buses. Although they do pick up passengers en route, they stop fewer times than others. Minivans departing from Managua to Leon and Granada depart from a station across the street from the UCA (Universidad Centro Americana). These minivans are usually a great option because they are truly an express service without a bunch of stops along the way. They depart every 20 or 30 minutes, as soon as they fill up. 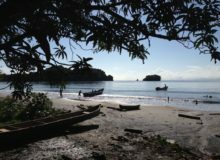 If you are planning to go to a remote area, such as El Castillo, San Juan de Nicaragua or the Corn Islands, make sure you take cash with you. There are many different spots in the city where there are ATM`s where you can obtain cash from your bank or credit cards. 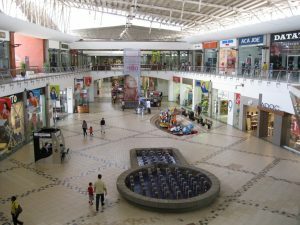 Usually, you are safer doing it in a mall, such as Metro Centro and Galerias Santo Domingo. There are also ATM machines at the Managua Airport. At a first sight, it might seem like there are not many things to do in Managua. Nothing could be further that this! Nicaragua’s capital is close to most of the tourist attractions. A good way to get to know them all is to rent a car at one of the many different rent a cars in Managua. If you prefer a guided tour, check for the different tour operators in the city that offer tours. Managua is the economic, political and production center of Nicaragua. 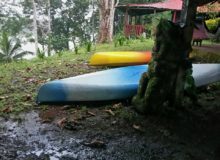 As such, there are many different hotels in Managua for you to choose from. There are also outstanding restaurants and bars to enjoy a good meal. Night life is good in Managua. Best of all, Managua is a safe city for both locals and visitors.